Many of us may have enjoyed a stroll around the scenic lake with a family or friend and enjoyed the flat surfaces, easy walking and views it offers. So when it came to hosting a 5k with a memorable route I looked no further than Hollingworth Lake. Runnable for all ability levels. Fast, flat, scenic and electronically timed 5k. UKA licence pending and Course Measurement distance certified race. The New route starts from the Rugby Club Car Park and goes downhill on Rake Wood Road. This then flattens out for probably the fastest first mile in a 5k. It’s a very smooth road surface and has little traffic. Rugby Club parking is available for only 150 cars! 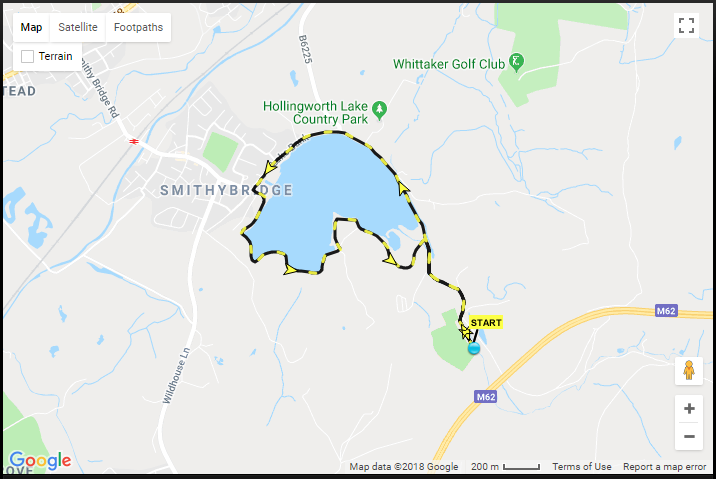 How was Hollingworth Lake 5k Series – Race 4? The marshals were amazing!!! Standing in the freezing weather waiting for us and always smiling. I cant wait to do this again next year.